When the time comes for you to consider window replacement, door replacement or new window installation, Fort Collins Windows & Doors is the best window and door contractor in Colorado! We offer services to the Fort Collins area, providing window and door services with an eye for the smallest details and an ear to listen to and fulfill your desires to the maximum. All our services, both in window replacement, new window install and door replacement are fully covered by our total satisfaction guarantee. We stand by our work 100% and won’t rest until you’re impressed! We feel that the best companies (no matter what they do) are the ones that strive to offer as much as possible to their customers. With this principle in mind, Fort Collins Windows & Doors endeavors to provide value in all we do. The Best Window and Door Replacement and Installation Company in CO! An overview of our services will give you an idea of our expertise and what we can do for you. For more info on each service, please navigate to the specific service page for a more up-close look. Window Replacement- As our homes age and shift, windows can become warped and damaged as well as experience weather damage, and with all that life has to throw at your property. Fort Collins Windows & Doors specializes in providing the best window replacement in the Fort Collins Area, offering our customers a wealth of options. Don’t deal with cracked, warped or damaged windows for one moment longer! Call us today! New Window Installation- Ready to expand your view or want an expert to install your windows for new construction? Look no further than the window installation experts at Fort Collins Windows & Doors! Our professional window installers will help to educate you about the entire process, what to expect, and give you a competitive estimate for the work. When you are ready to have the beautiful windows of your dreams installed, give us a call! Door Replacement- An improperly hung door, or one that is off center due to damage or house shifting, can be a real pain. The door replacement professionals at Fort Collins Windows & Doors are here to help! 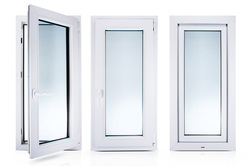 We will present you with a variety of options regarding door types, from patio doors to French doors and beyond. Call us today for more information! Affordable Window and Door Services Near You! Our desire is to offer the Fort Collins area with the best window and door services in this or any location. We strive to be as efficient and quick as possible when installing doors and windows while providing the best craftsmanship to be found for window replacement, window installation and door replacement. No contractor makes their living solely through craftsmanship, however, which is why customer care (actual care, not just service) is one of the things that set Fort Collins Windows & Doors apart from most of our competitors. It isn’t just about windows and doors for us; it’s about people. We want to leave you with great window installations and the best door replacement we can, but more important to us is knowing that we have done everything we can to help you. Call us today at 970-372-5120 for more info and to begin your relationship with the professionals at Fort Collins Windows & Doors!